In Orange County, California, court records are included in public records maintained by the state authorities and can be accessed by the general public. To begin your Orange County Court Records Search use the above form and enter a first and last name and a state to begin. Are Orange County Court Records Public Information? According to the constitution of California and the state’s Public Records Act, citizens of the state have the right to access some information and documents that are maintained the state’s government and law enforcement agencies. These records also include the information and records gathered and maintained by the state’s Department of Justice. What Are Orange County Court Records? 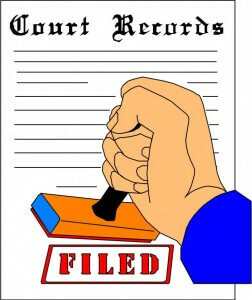 Court records are probably the most diversified of all public records. They include all the court files, transcriptions, orders, exhibits and other case-related information that are gathered during court proceedings. Since court records are considered public in Orange County, California, they can be accessed by anyone upon request. For details regarding specific cases filed in the Superior Courts of California, you need to contact the Superior Court in which the case was originally filed. Click here to find and access the court website where your case was filed. The Orange County Superior Court Case Index can be found here. Many companies, which are third party sources, maintain a database of public records to make them easily accessible by the general public. You can order the copy of court records regarding a particular case through any such website. However, do remember that these websites does not provide official copies of the records; so, if you want them for any official purpose, it is better that you order them directly from the court. For non-official purposes, the websites, such as SearchQuarry, provide quick access. Do you know anyone who embosses divorce decrees? Are you referring to embossing as the official dissolution papers for divorce to make it official? You will probably want to contact the Orange County Courts for more information about this. Unfortunately we don’t have a relationship with any court system. We merely offer an online resource where you can view divorce records online. I have provided you a link below to the Orange County Courts where you can find out more information about embossing a divorce decree. How would I be able to obtain Family Court Records for City of Orange CA for Ruby Dillon or Dr Ruby Rupinoar Dhillon birth date 5-17-1966 or her fake birth date 5-17-71 She was deemed by 3 different judges to be coaching her daughter and lost custody to the Father. Typically, Orange county family court records are sealed and not available to the general public. That being said, if you are immediate family you might be able to petition to the Orange county courts to obtain the court records you’re looking for. You can contact the Orange county courthouse clerk for more information about obtaining family court records.